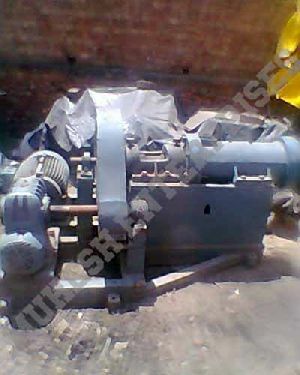 Quality to ensure the continuance of complete customer satisfaction.our unique, high quality, custom designed machinery that comes at extremely affordable prices.4.5 inches (114 mm), 6 inches (152 mm), 8 inches (203 mm), 10 inches (254 mm). 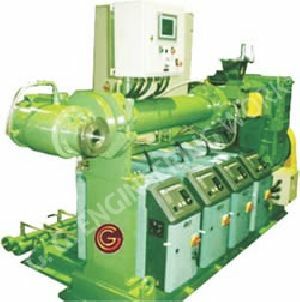 Cold feed extruder machines are used for extruding cables, rubber hoses, tyres, sealed stripes and rubber sheeting narrow range etc. 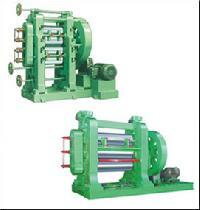 This machine is composed of the outer body, decelerator, motor, head etc. 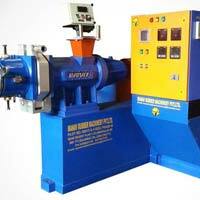 The screw and bush of the machine are made of high quality nitrided steel and have good abrasive resistance. The screw has double separated thread ? primary and secondary ? 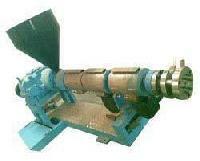 with inequidistant and convergent pitch. 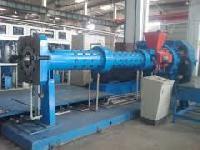 By eliminating the warm up mill prior to feeding Cold Feed Extruder , the heat cycle for the rubber compound is reduced. 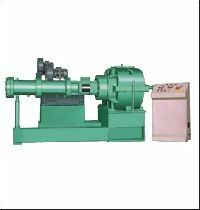 Replacing the traditional hot feed extruders, the Cold Feed Extruder also enhances the geometric stability of the extrusion. 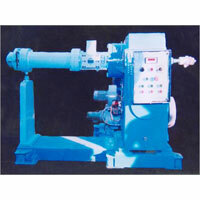 The Cold Feed Extruder can be availed from us at the most competitive prices. 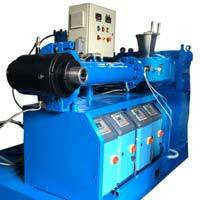 We are offering pin-barrel cold feeding rubber extruder. 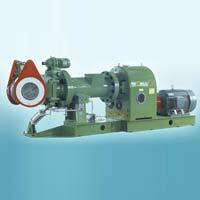 Dalian Yixiang Rubber Machinery Co.,ltd. 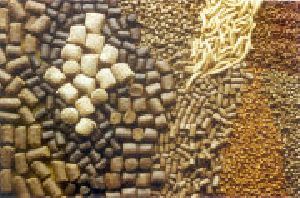 Grace Food Processing & Packaging..